We have a wide variety of classes suited to fit your goals; whether you are enhancing your martial arts skills, working on your strength and conditioning or just looking for a fun, high-energy workout that takes you out of your normal routine. 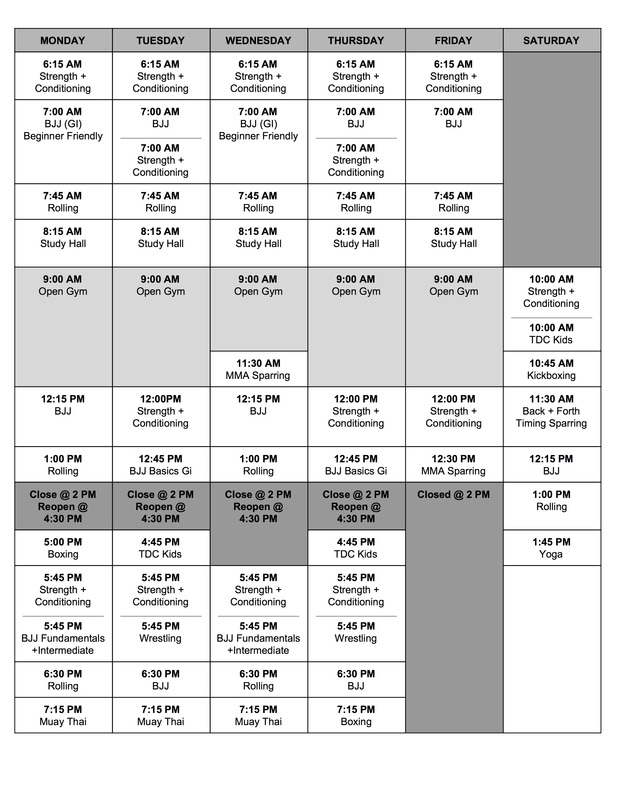 Please check out the Chicago MMA + Fitness Schedule and swing by our Chicago MMA + Fitness studio to meet the TDC family and check out what we have to offer! Please always check the TDC Facebook updates for any scheduling changes that may come up. Imazaki Dojo, our affiliate partner in the South Loop, offers drop-in BJJ classes. If you are ready to train with TDC or have any questions about classes let us know in the section below.